Add the Aperol, Campari and Cynar to a rocks glass. Top with crushed ice and give a quick stir, garnish with a long grapefruit twist. If using Elixir Vegetal, add two dashes on top. Grapefruit laced citrus. A hint of quinine and herbs. Orange rhubarb and chocolate on the tongue with a lingering bitter chocolate finish. Elixir Vegetal adds great herbal and anise notes to the nose and palate and also sweetens things up. It completely changes the dynamic and adds a little sugar to the finish. Yeah yeah, it’s been a while. These pesky things called day jobs always ruin all the fun. Anyway this one was too good to hold in any longer…. 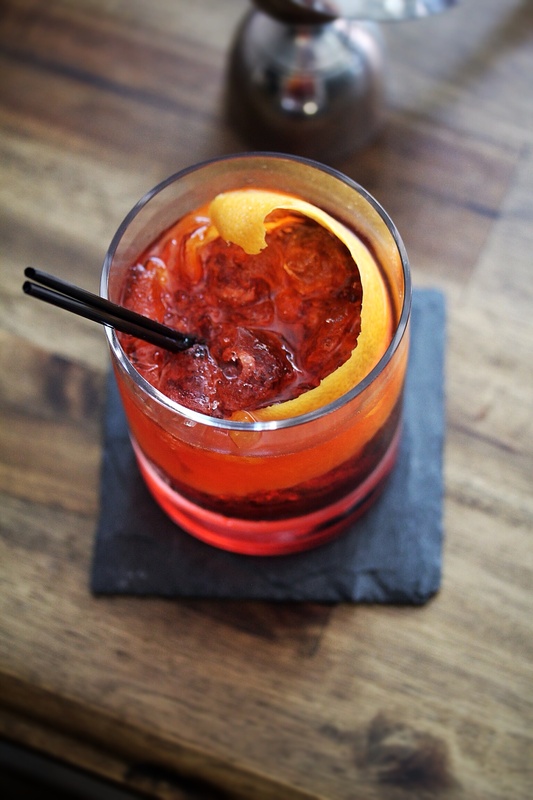 To learn more about Negroni Week and to see what bars in your area are participating, check out NegroniWeek.com. 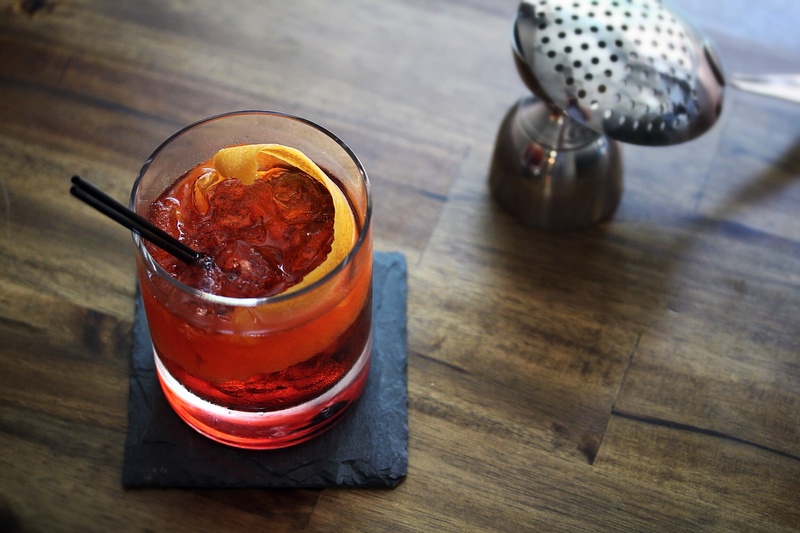 Negroni Week is just around the corner (June 2-8). What’s that you might ask? Well aside from celebrating one of my all time favorite cocktails, Negroni Week is also a great opportunity to try some great Negroni variations out and a bout and support a good cause – a portion of the proceeds go to support a local charity. What’s better than drinking? Drinking for a good cause! While I don’t really make any money from this site (what little comes in supports it stayin’ alive), I can’t really donate any “proceeds,” but that doesn’t mean I can’t share a little Negoni riff with you all. 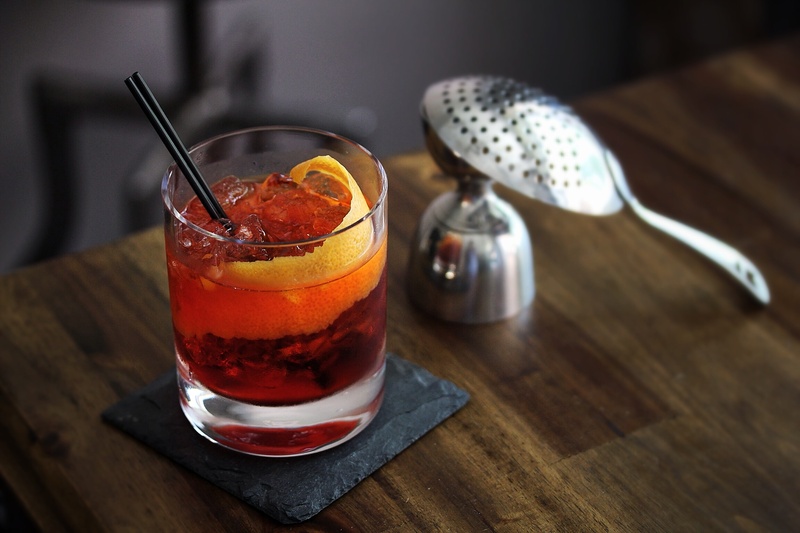 This one is a riff on one of my favorite Negroni variations, Bottechia. I posted this one a while back, but Bottechia features 3 of my favorite amari in one drink: Campari, Fernet and Cynar. I loved how well this one worked, but it’s a little on the heavier side and I wanted to do something a bit more suitable for warmer weather. I chose to ditch the Fernet for lighter fruitier Aperol. I also switched it from an up drink to one over crushed ice to up the refreshing factor. You can also add a little Elixir Vegetal into Pinarello to really change up the flavor, making it a touch lighter and more herbal. Don’t have Elixir? Regular Green Chartreuse will do. It also tones down the cocao flavor a bit. I love this one both ways. What makes it great? uhh…. Campari, Cynar, Aperol… together in one cocktail… but seriously though, Pinarello will be delicious year round. Since it’s nice out serve it over crushed ice. In the fall go for a big ice rock. Finally, serve it up to warm in the winter. The other nice thing about this one? It’s pretty low proof as the strongest ingredient, Campari, clocks in at 48 proof. Hell, why not fix one of these bad boys up, head over to NegroniWeek.com and see where you’ll be drinking for a cause next week. Good grief that sounds bitter! Some people were born with more than one sweet tooth in their heads. But I can’t help admiring the recipe.